South Africa is a wonderfully diverse country with a rich landscape and mix of cultures that make it the perfect year round destination. It has much to offer, modern cosmopolitan cities, rugged mountain ranges, the beautifully green winelands, deserted beaches and a natural abundance of wildlife. 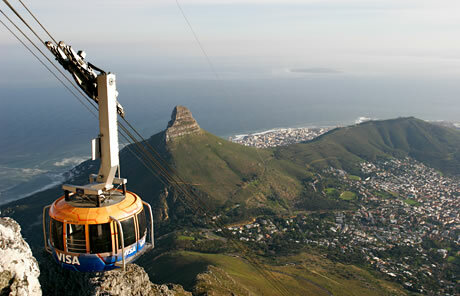 The excellent road network means that it is also a popular destination for a self-drive holiday. Many people spend a few nights in Cape Town, with its breathtaking backdrop of Table Mountain, before collecting a car and driving out to the winelands. 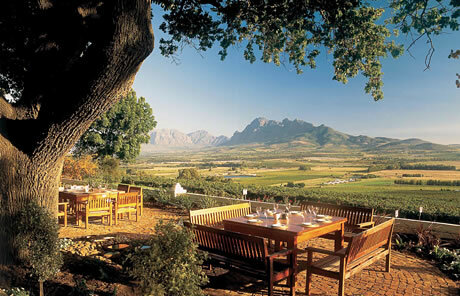 Many of the vineyards offer wine tasting tours and you can picnic in the wonderfully picturesque setting of these estates before sampling the renowned hospitality at one of the Cape Dutch boutique hotels. From here you can head east along the spectacular Garden Route with its long sandy beaches, expansive bays and indigenous forested mountains. If you have the time to carry on you reach the Eastern Cape, which is now famous for a growing number of high quality games reserves surrounding Port Elizabeth. 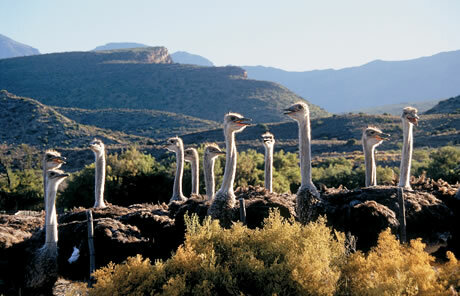 The area is malarial free which has added to the popularity of parks such as Addo and the private game reserve, Shamwari. Beyond this you reach the magnificent Drakensberg Mountains in the KwaZulu-Natal province. This region is home to the famous battlefields of Isandlwana and Rourke’s Drift which are brought to life by the military historians who will guide you through the bloody battles between the British and both the Zulu Warriors and the Boers. This area also has great beaches and divers should head to Thonga Beach where dolphins, sharks and whales are often sighted. 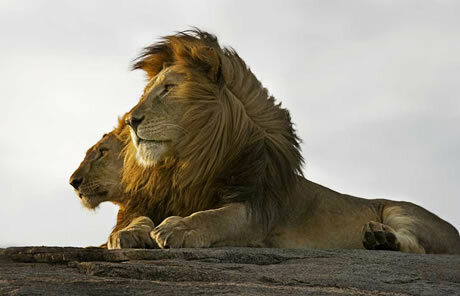 If you are after big game then Kruger National Park is an excellent place to experience the ‘Big Five’. It covers a huge area and has an enormous variety of animals and birds. There is a wide choice of accommodation, from simple self catering lodges, family friendly camps and also some of Africa’s most exclusive lodges. John has been lucky enough to sample the exceptional high standards at some of these luxury camps and is very happy to help you make the right choice for your trip. A two week trip to South Africa including the stunning Timamoon Lodge, a four night safari in Kruger tracking the Big Five and cosmopolitan Cape Town. Day 1: Overnight flight from the UK to Johannesburg. Day 2-3: Arrive Johannesburg and fly straight out to Kruger Mpumalanga airport. Transfer to the beautiful Timamoon Lodge for 2 nights. 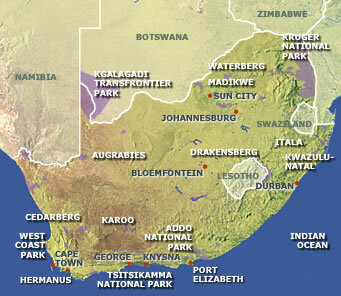 Take a tour of the Mpumalanga Area including Blyde River Canyon. Day 4-7: Transfer to Mala Mala Rattrays or Ulusbaba adjoining Kruger National Park. 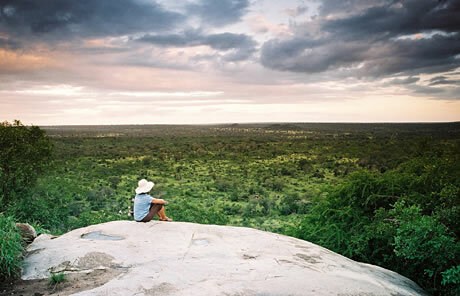 Spend 4 nights exploring the park with up to 2 game drives per day to make sure you see as much as possible. Day 8-9: Transfer back to Kruger Mpumalanga airport and fly to Cape Town. 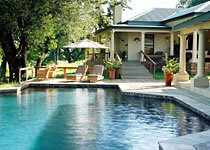 Collect a car and drive to La Grand Roche in the winelands for 2 nights. 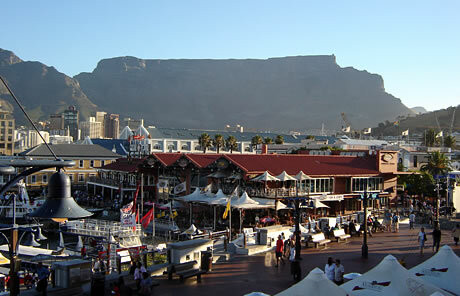 Day 10-13: Drive into Cape Town and stay for 4 nights in the One and Only Waterfront. Visit Robben Island, go up Table Mountain, drive around the various bays down to Cape Point and spend time in the Waterfront area. Day 14: Drive back to airport and fly back overnight to UK. Day 15: Arrive early morning back in UK. Price from £5872 per person inclusive of all flights, transfers, full board and game drives.